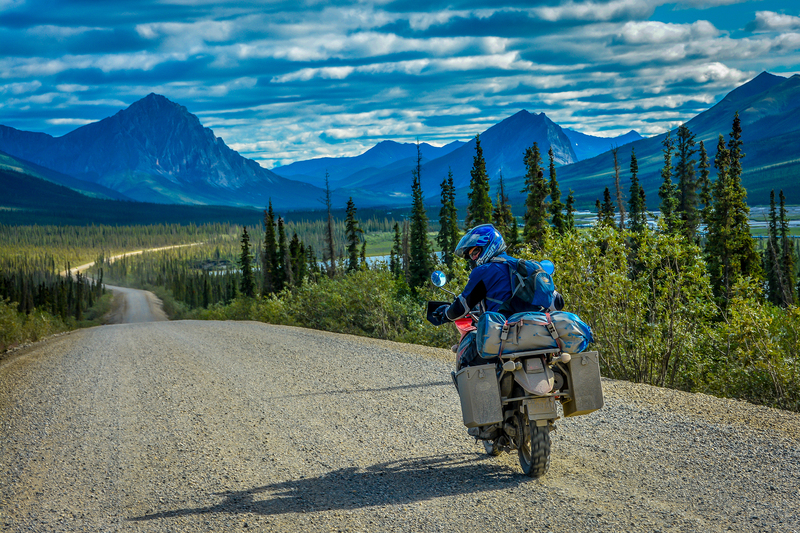 Top: Dalton Highway, north of Coldfoot, Alaska. Middle: Dawson City and Tombstone Mountain, Yukon. Bottom: Grizzly crossing the Dempster Highway, Yukon. First, thank-you Erwin from saving this blog from GoDaddy, who were going to delete it. I haven’t written a post for over a year. This is not because nothing has happened, or that I haven’t had any adventures. 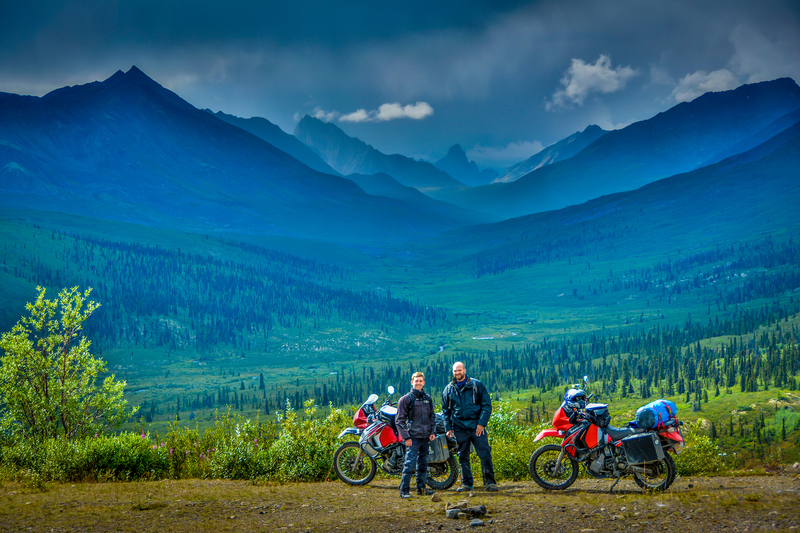 I joined up with Tom Smith and we toured Alaska and Yukon on rented a KLR650s. 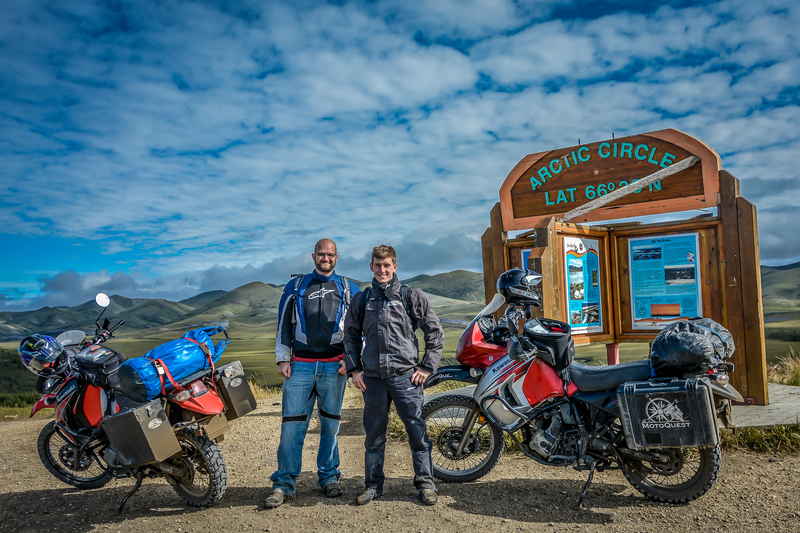 We rode the Dalton Highway to Prudhoe Bay, Alaska, as well as the Dempster Highway in the Yukon Territory. 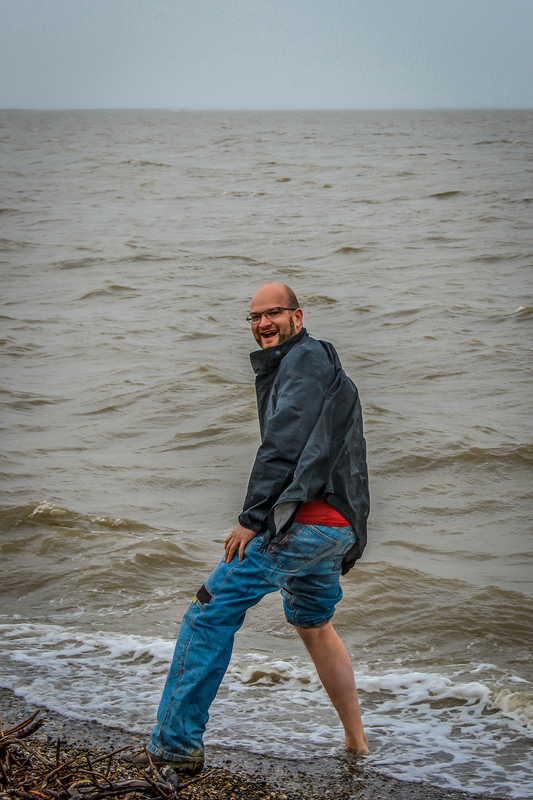 I dipped my foot in the Arctic Ocean. 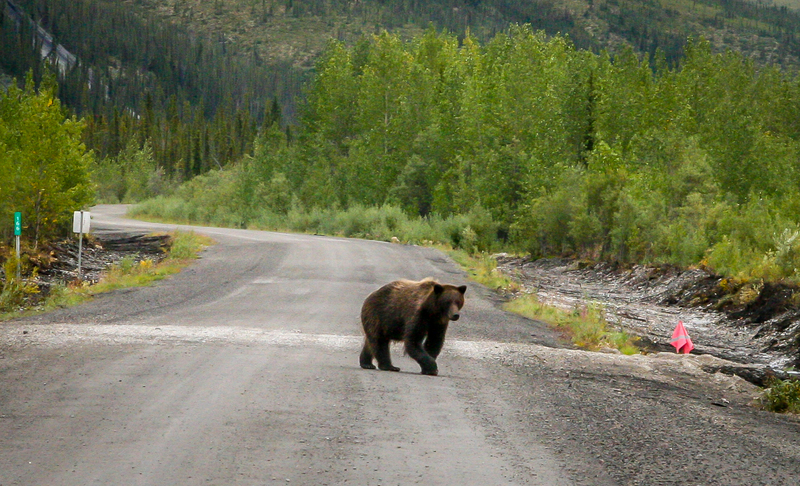 I stopped the bike for a Grizzly bear that sauntered across the road right in front of us. I met fellow travellers from all over the world. One of my Alaska friends from the road (“Gaby” on the far right below) just arrived at the other end of the world – Ushaia, Argentina. It was a special feeling to be on the road again. The riding was challenging at times, but oh was it rewarding. I rode right into the spectacular vastness of the North. Top left: The gang at Deadhorse Camp, Prudhoe Bay, Alaska. 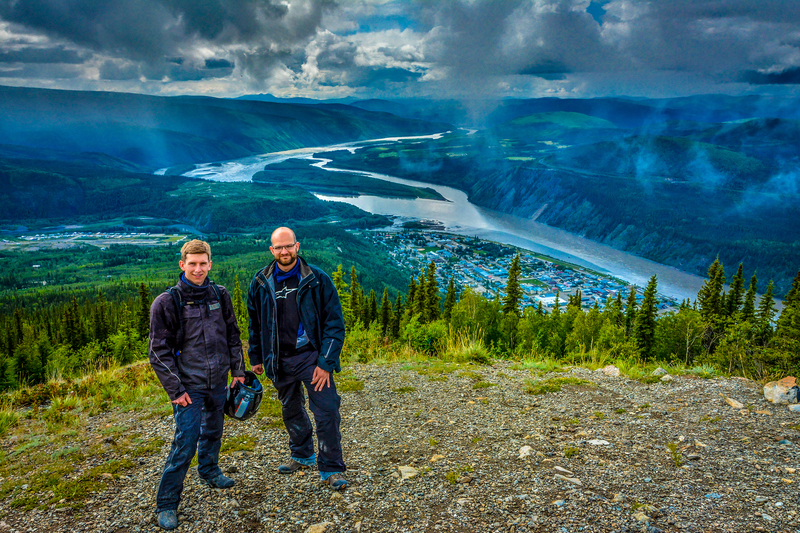 Top Right: Tom and I at the arctic circle on the Dempster Highway, Yukon. Button: Arctic Ocean, Prudhoe Bay, Alaska. 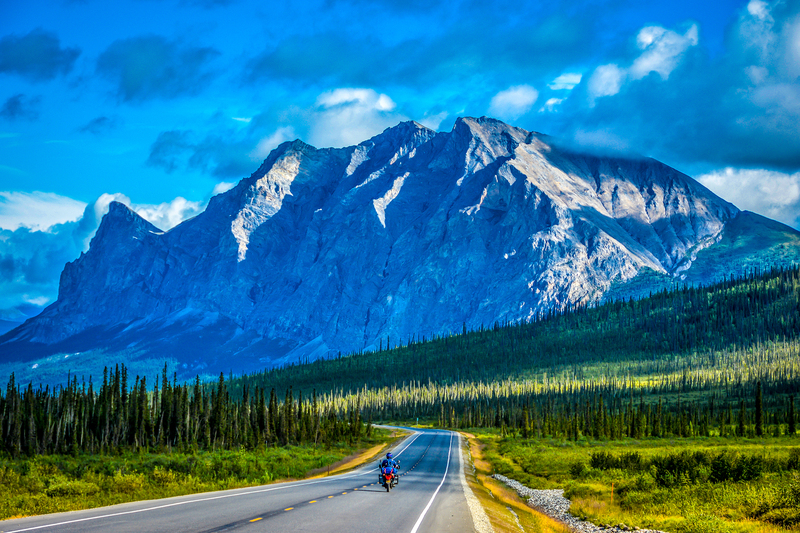 The camaraderie of fellow riders from all over is especially evident in Alaska and Yukon because everyone who makes it there on a bike has a shared passion for adventure. Just as enthralling are the people that live in the North, such as the grizzled old prospector from Coldfoot who poured us whiskey and told us tall tales about the giant nuggets up in them thar hills, or the young Inuit women from the isolated arctic village of Old Crow who shared Caribou heart with us in the wee hours of the morning (after a night at a Dawson City bar). These experiences seem almost surreal after what I have gone through. Physically I am able to ride a motorcycle, which is a phenomenal gift. Yet I found myself more tentative, riding a little scared through the slippery mud of the arctic, not wanting to bite it (there were several close calls but I stayed upright). Life has taken on a sense of fragility. I sense the shortness of it all, but this is not a reason to avoid risks like riding the muddy slop of the Dalton with semi trucks bearing down at 70 mph or staring down a grizzly. To look upon the arctic ocean and feel the satisfaction of the journey is well worth it. The fragility and shortness of life is a reason to continue to experience the world with even more enthusiasm. Now wouldn’t we all like to be able to say that. Here’s to life and adventure.